During the week, we post even more Gen X links on our Facebook page. Here are some of the best from this past week. --Let us now praise the inventors of great junk food, from Cracker Jack to Dubble Bubble. --Which GenXer are you? The brain, the jock, the princess, the rebel, the nutcase? None of the above? A little of each? --Personally, I grew up with Shasta, but loved this little article from Slate about why Fanta is so much more popular abroad than in the U.S. Fanta, Fanta, FANTA! --Sea Monsters meet Star Wars. --An old-school arcade in NYC. But a friend says it's not the same since the tic-tac-toe playing chicken died. --"And then the conversation turned...until the sun went down...and many fantasies were learned...on that day." Kingsford charcoal uses a slowed-down version of "Keep Feeling Fascination" in a great ad. 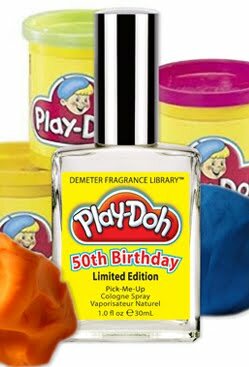 --There is a Play-Doh fragrance. --Pac-Man cabinet made out of LEGO. --History of adventure games. Aw Sierra games, I loved you so. --Jo on "Facts of Life" has a heart-to-heart with an early computer. You can share your fave retro links with us too! Email them to genxtinct@gmail.com or post them in the comments, either here or on Facebook. You can also follow us on Twitter at www.twitter.com/genxtinct.